Business Facilities, Safe Deposit Box-Front Desk, Baggage Storage on Request, Concierge, Airport Transportation, Backup Generator, Elevator/Lift, Family/Child Friendly, Taxi Service, Major Credit Card Accepted. Ceiling Fan, Makeup/Shaving Mirror, Cable/Satellite TV, H/C Water, Bottled Water in Room, Television Room, Attached Bathroom, Complimentary Newspaper, Air Conditioning Room, Desk. 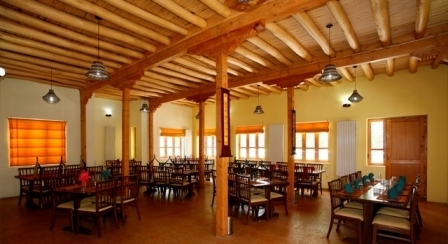 User reviews for "Lha Ri Sa Resort Leh"